Place the fennel, vodka and ouzo in a bowl and set aside for 1 hour. Place the blueberries and sugar in a bowl and lightly crush with a fork. Set aside for 1 hour. 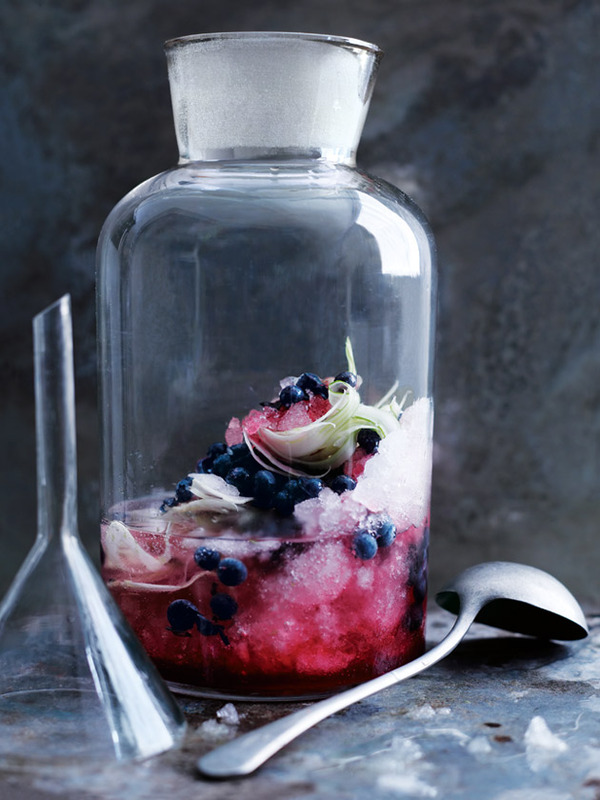 Place the fennel mixture, blueberries, lemon juice, ice and lemonade in a 1.5 litre-capacity (6 cups) jug and stir to combine. Makes 1.25 litres (5 cups). + Ouzo is an anise-flavoured liqueur popular in Greece.